Continuous Thermal Decomposition Plant is going to be presented at The Ecology of Big City International Forum in Convention and Exhibition Centre in Saint Petersburg, Russia. TDP-2-200 is intended to protect the environment by processing the oil contaminated and hydrocarbon rich waste on continuous mode. Unique and mobile continuous cracking unit is capable to process up to 300 kg of drill cutting, oil sludge, tyres and rubber. Modular structure of the plant fits 20’ ft. standard sea container. 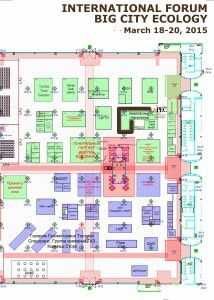 Location: booth C1.1, Hall H (№3), CEC Expoforum, Peterburgskoe shosse 64/1, St. Petersburg, Russia.